One piece of advice that I give to teachers starting out in this online world of teaching is to create true connections with English learners, students, and fellow teachers. My approach to reaching out and connecting with others online has changed dramatically over the past couple of years, and it’s only recently that I have truly come to realize why this is so important when doing what we do. However, things were much different when I first started out. When I created my website and started teaching online back in 2008/9, I felt that there were only just a handful of people doing something similar. I did a little research into my “competitors,” and I had a sudden rush of panic when I found a website that was trying to achieve something similar to me. I came across sites that had better marketing plans and designs, and I mistakingly thought that there was only a certain amount of room for creative teachers who wanted to move their make their mark online. It took me a long time to reach out to my fellow onliners, and for many years, I remained isolated. In addition to being disconnected from my fellow teachers, I didn’t put enough effort into setting up my site in way that visitors could connect with me. I was very apprehensive about putting information about myself on my site and on other platforms. This meant that I wasn’t giving English learners the ability to make that important initial connection. But, after receiving a lot of referrals a couple of years ago, my confidence as a teacher started to grow, and this is when my mentality changed. I started seeing the wonderful things that resulted from making meaningful connections, and I went from being a lone ranger to someone who felt supported by like-minded people. If you are involved or want to be involved in online teaching, read on to learn how connecting with others will help you find more students, improve your teaching, and make you feel part of a greater collaborative community. Your website is a place where your potential students come to find out more about you and your lessons. When visiting new teaching websites, I far too often see a message that is impersonal and one that makes no attempt to resonate with the English learners who visit the site. I see the same mistakes that I made being played out over again. Instead of going through the problems, desires, and solutions, many sites focus on features and facts. In addition, sometimes there is no face or name to be found anywhere. But, as I have learned, students want to connect personally with their potential teachers before signing up. They want to know that there is a real person behind the information who is dedicated to and effective in what they do. To ensure a high conversion rate you must make connecting with your learners a priority. This can be achieved by including information about who you are and by injecting your personality into what your write. Include pictures, and if want to take that extra step, videos. It might be hard for some of you to take this step (like it was for me), but it is such a vital part in you becoming a successful online teacher. Once you have worked out your message and feel confident about putting yourself out there, the next step is to connect with English learners on different platforms. Don’t just post things with links back to your site, but instead think about ways that you can connect in meaningful way. This doesn’t necessarily mean that you have to spend hours communicating with English learners on forums, as sometimes just showing that you are care about what you do is enough. To highlight this, I want to share a little experiment that I did this week on Facebook. I looked at the new likes that I had one of my Facebook pages and added those in my target martet as friends. Around 40% accepted my request, and those that did received a little message from me. This message was very basic and just thanked them for liking my page and asked them a quick question about their learning. From the ten people that I contacted, two messaged me back asking for a trial lesson. What I found interesting about this is that they had both known that I offered lessons before I sent the message. But, the friend request and message most likely made them feel connected to me and gave them the nudge they needed to take the initial step. This is just one small example of why I believe it is important it is to ensure that you are connecting with learners in your niche, and I’ll be experimenting with other methods in the coming weeks. One of the things that excites me most about teaching one-to-one online is that you become much more than just an English teacher. In my case, I am also a friend to my students, a mentor, a motivator, and a language coach. There are also days when I feel that I am a life coach! To be able to be all of the above to online English learners from around the world is what I love most about my job. The connections that I make aren’t just important in terms of the relationships that we share, but also an integral part of ensuring that my students make the progress that they desire. This connection can’t be made with every student, and that is why I suggest choosing a niche that has they types of English learners that you enjoy working with. In addition, I also strive to help my learners make a connection with the English language. When I start working with a new student, I go through the process of finding the resources they need to make English relevant to them and give the information and motivation they require to immerse themselves in the language. Finding the music, television shows, podcasts, articles, and other resources that are relevant to your student, and introducing these materials into your lessons, is the key to your learners fully connecting with the language, which in turn resuls in a burst of motivation and progress. Through this blog I’ve been able to make some great relationships with other online teachers and with those who want to move their teaching online. As mentioned in the introduction, I was very hesitant about doing this for the first couple of years; I guess it came down to me thinking that it would be exciting to do everything on my own. But I’ve learned that connecting and collaborating with other teachers is just so much more rewarding and has helped me grow as a teacher. I feel incredibly excited about what working with others in the same industry is going to bring over the next months and years. This change of mentality was the driving force behind the creation of this blog and my renewed motivation for creating something that really matters. I have learned so much from connecting with my fellow teachers, and I have come across so many great resources that have improved my lessons. But, there is much more to it than that. These connections also make me feel that I am part of something bigger. Speaking with other teachers who share my passion for online teaching, and ELT in general, gives me the extra motivation to continue what I’m doing and to keep growing as a teacher. I would love for you to share your ideas in the comment section below about how you currently connect with English learners. Speaking of sharing, if you have enjoyed this post, I would be so grateful if you could share it with others. And finally, I love hearing from my fellow teachers. So, don’t hesitate to get in touch and connect with me. I love helping teachers create their own online platform. There are so many ideas and creative elements that we as teachers want to showcase, and building a site using WordPress (WordPress.org not WordPress.com) allows anyone to realize those ambitions without having to learn how to code. Sometimes though, because WordPress can do almost anything, you can get caught up in the things that aren’t important. Instead of focusing on what matters, it is easy to get swept away in something that, in many cases, gets in the way of what you’re trying to achieve. Going through the process of creating sites with different teachers, and having built many sites for myself and others, I see common mistakes being made when teachers are setting up their own online platforms. This post is mainly for those who want their website to be a tool to get more students for their one-to-one lessons. But, I hope that it will also be useful for other ELT sites, such as teaching blogs. So, if you are thinking of starting a new site, or want to improve your current one, here are the six mistakes to avoid. I strongly recommend getting your own domain name and hosting your site with Bluehost or a similar provider. Using a domain name like yoursite.wordpress.com or yoursite.blogspot.com not only makes you look unprofessional in the eyes of your potential students, but also means that you are putting all your content onto a site that you don’t own. I’m pretty sure that the free blogs provided by WordPress.com and Blogspot aren’t going anywhere soon, but there have been too many examples of free hosting services or blog platforms suddenly shutting down, leaving their users angry and confused. Getting your own domain name and installing WordPress (WordPress.org) is really easy to do and shouldn’t cost more than $60-80 per year to keep running. To get you started, here is a new trick that I’ve found: enter “Godaddy $0.99” into Google search, and you should see a link that takes you to a special landing page where you can get a domain name for $0.99 for the first year. Students buy into the teacher and want to make a connection with you. They won’t be able to do this unless you put yourself out there. When creating the copy for your website, you not only need to make it about your students (more about this later), but also about you. Talk about your experience, your skills, and you as a person, and don’t be afraid of linking all of these together and packaging them in a way that make visitors to your site get excited about working with you. To go that extra mile, make a few video that talks to your learners directly and place them on your site. Words and images can only do so much, and you’ll find that including videos will dramatically boost your conversions. I’ve only recently started making videos. At first, I hated seeing and hearing myself on camera, but after a little while this feeling disappeared. Just try it out and let those inhibitions fade away and enjoy the creative process. As an introduction to this point, I’d like to share with you a page that I came across recently. Now, I’m not suggesting that you use a design as simple as that page. But, this example shows that words are the most important thing to focus on; your design should be used as a way to support your message. Having a simple and great looking design is easy with all the beautiful themes that are now available. You can browse through the different options and choose a layout that best fits what you want to achieve. The problem usually comes when you start realizing that there is a plugin for everything, and you feel the urge to add all of those fancy features. Additionally, it’s easy to get carried away with the design by adding too many colors and images, and using fancy fonts. Doing this usually just gets in the way of your message. If the answer is “no”, don’t include it. The best way to resonate with your potential students is to tap into both the problems of your audience (the frustrations of the learners in your teaching niche), and their English language goals. This is done through the copy that you put on your site. I feel that the main job of a one-to-one English language teacher/consultant is to find out what those problems are, and to create a plan of action that will help the student achieve their goals. – What problems do my learners have? – What are their language learning goals? – What do they need to do to achieve them? It might take some time to adequately answer these questions, but it is worth it if you really want to make a connection and have your message resonate. Once you have gone through this, base your website copy on the answers that you come up with. Make your visitors feel that you know what it is like to be in their position, and clearly explain how you can help them finally achieve their English learning dreams. As we’re focusing on offering one-to-one lessons and converting as many students as possible, you shouldn’t shoot yourself in the foot and waste all of your hard marketing work by making it difficult for your potential students to request a lesson with you. In addition to creating copy that resonates, keep things simple and include a clear call to action. This usually comes in the form of a button to click that takes the user to a new page where there is a form to fill out. Don’t confuse your student with too many choices either. Having seven different packages to choose from can create “analysis paralysis.” Make it clear which action you want your user to take, and set up your site in such a way so that everything leads to this desired result. I’ve definitely been guilty of this one, and it has meant that I’ve had to play catch up. Not having the ability for my website visitors to subscribe has meant that I have missed out on hundreds, if not thousands of sign ups. The reason that starting an email list and encouraging sign ups is so important is because communicating by email is much more effective than through sites such as Facebook and Twitter. Myspace is a good example that highlights how having a big following on a specific platform might be more or less useless one day. An email list stays with you forever, and is the the number one way to engage with your audience. Having subscribers who trust you enough to give you their email address means that you don’t have to rely on external sources to stay in the minds of your potential students. There is a place for social media, and I highly recommend that you use it to attract new visitors to your site and interact with your followers. But, it doesn’t come close to the power of email. 1. Sign up for an account with Aweber (it’s $1 for the first month). 2. Follow the instructions to create your list and to introduce a sign up form. 3. Place the form on your blog. When someone signs up, they’ll receive your blog updates, general messages, or a series of emails that are pre-written and automatically sent out. I now add those who request a trial lesson to my subscriber list. Doing this ensures that those who don’t go on to take lessons with me will receive my email updates. Don’t wait to start building your email list; do this as soon as you start your teaching website or blog. If you want to learn how to create your own site, then follow my step-by-step guide on how to do this using WordPress. And, if you have any questions regarding this topic, then become a subscriber and get in contact with me. I’d love to help you get your site up and running. I have a big interest in all things marketing, so thinking about the different strategies that can be implemented to get students is one of the things that I most enjoy about having an online teaching business. I’m a stats guy and love analyzing and testing different methods to see what is effective. I’ve tried many different strategies, and have talked extensively with other teachers about what methods are successful for them. This post is my longest and most in-depth post to date, giving you all the information you need to fill your schedule with dedicated and paying students. But, that doesn’t mean that you have to do everything listed here or over-complicate things. Your marketing plan will be based on your niche and your short and long-term goals. What works for one person may not work for another. Your target market is unique in that you are offering something that no one else can: your English teaching skills. You are also offering lessons to a specific group of people. And, these different groups, or target markets in marketing speak, resonate with and respond to different messages. As an online teacher, you will have to define your market, know where to find these English learners, bring them to your website, and convert them into paying students. I’ve talked about how you can define your audience in a previous post; now it’s time to look at the rest of this process. Each step is equally as important, but our focus here will be mainly on how to bring more visitors (English learners in your niche) to your website. But before we do, let’s divide our marketing strategies into two categories: short-term and long-term. I’ll also give you some general marketing advice and tie everything together. Sometimes we need to find a student right now. This is usually the case when first starting out as our schedule is empty and we want to start filling it up, get teaching, and bringing in income. There is a lot of things that we can do that brings in students straight away. An example of this is advertising. Most platforms will approve your advert within a few minutes, and it’s quite common to receive a lesson request soon after your advert goes live. On the other hand, there are long-term strategies that we can implement. These methods take longer to produce results (paying students), but in most cases, are much more powerful than advertising, for example. Creating videos is the perfect illustration of this. It takes some time to produce and market a series of videos with the end goal of bringing in new students. But, if done properly, then the potential to attract English learners to what you offer over the long-term is huge. I split the methods listed here into these two categories, but that doesn’t mean that you shouldn’t advertise once you have a good schedule. There are many short-term strategies that I implement every now and then, and I know teachers who do nothing but advertise to attract paying students. My first website was primarily concerned with getting students to sign up to take lessons with me. At the same time, I was also really interested in learning about search engine optimization (SEO). 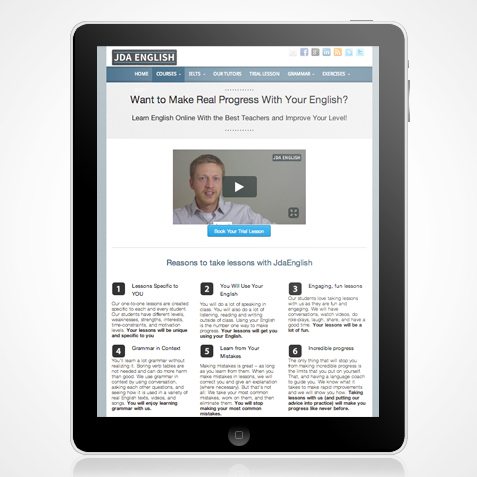 So, I put my energy into ranking highly to attract English learners to what I was offering. I wasn’t necessarily focused on creating the best content out there for learners; I just wanted to bring in students. In that regard, what I did was a great success. My goals have changed and this is reflected in how I now market different websites. The best way to approach the different marketing strategies listed later in this post is to think about your long-term plan. Do you want to just bring in students (like I did)? Or, do you want to create something else? Is creating a website that attracts thousands of learners each week part of your plans? Does making videos with thousands (if not millions) of views excite you? If you want to create something bigger than just offering private lessons, or at least leave this open, then there are certain things that you have to consider before you jump in. These things can be introduced later, but it is smart to at least have something outlined from the beginning. The most important thing is your website, and we’ll sink our teeth into this very soon. As I see more teachers create their own resources these days, mainly down to the tools that are now available, it excites me to think where things are now, and where they potentially will be in the future. If you are a teacher who wants go that extra mile and create something that makes a difference, then stick around as this is something I want to explore through this blog in the months and potentially years ahead. First impressions are important, and if you want to attract paying students, then everything that you do has to be of the highest quality. This includes your website, your adverts, your videos, anything that you put out there. You need to make the best first impression no matter what you do. On classified websites, I’ve seen too many teachers just post a line or two and say the same thing as everyone else. But, to make your campaigns more effective, you have to do something different and stand out from the crowd, wowing your potential students. Both the look of your advertisements and your copy are important. But, approach the design as a way to support your message. Knowing what will resonate will depend on your target market. But, always leave a good first impression. Your website is going to play a vital part in filling your schedule, so investing a little time and money upfront (you can get things started for around $60-80) is going to make things much easier for you. 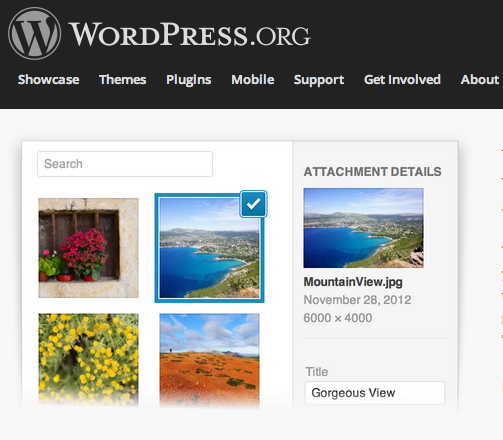 If you don’t have a website, WordPress will soon become your new best friend. 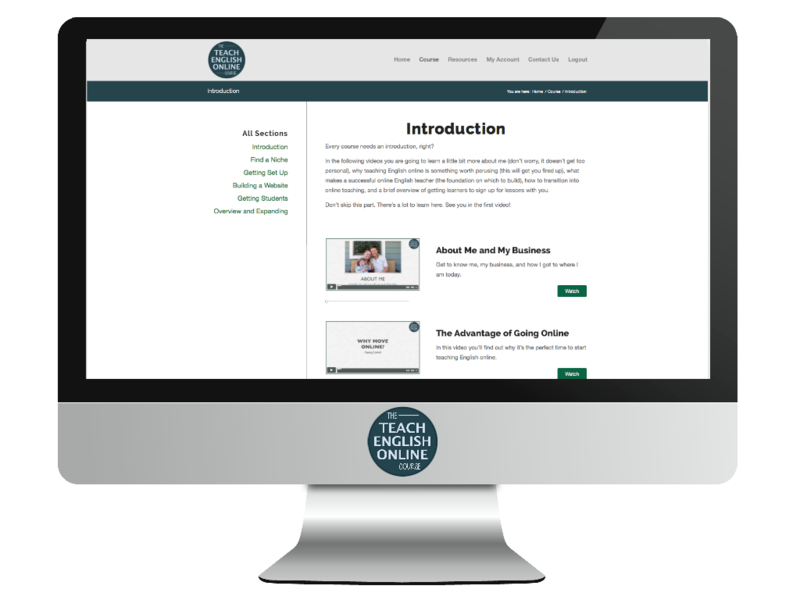 Anyone can build a teaching website with just a few hours work (check out my free tutorial on how to get started with WordPress if you haven’t already). There are no limitations with WordPress; it can be used to build something simple and small, but is also powerful enough to easily implement forums, paid membership sites, and lots of other great features. The reason your website is such an important part of this process is because it is the platform that we use to firstly attract English learners, and then to convince them that they will benefit from taking lessons with us. Fortunately for us, English learners are everywhere. I prepare students, predominantly from Russia, for the IELTS exam. Some of my students were purposefully looking for an online teacher such as myself, and therefore found my website through search, a referral, or by other means. Other learners were hanging out in different corners of the internet, and while not actively seeking a teacher, once they learned about what I offer, they got excited about preparing with me over Skype. There are many ways that we can bring students to our website, ultimately turning them into paying students. We’ll start with three strategies that you will bring in students right from the off. These can also be used when you quickly need to bring in more students. Google Adwords, Facebook Ads, and LinkedIn are three of the most common platforms on which to advertise. My favorite is Google Adwords as it has always brought in the best return on investment (ROI). LinkedIn is more expensive, but if your niche suits that type of platform, then it could be lucrative. You can target people by location on all three above; this is really important if your lessons are specific to a certain area. Another way to advertise is to target websites that attract the type of visitors who are in your niche. My advice is to create a relationships with website owners before requesting advertising space. Start with researching which sites are related to what you do, and make a list of potential partnerships. You don’t need to spend a lot of money to get started. And, at the moment, my recommended hosting plan is offering a $100 voucher to spend on Google Adwords – Click here for more details. One of the best free ways to bring in students is to find online classified listings that are specific to your niche. Unless you are looking for students based in the country where you are now, you will have to research a little and find the classified website where your target market use. Include lots of great information on your classified posting, and make sure that you have a professional picture too. Make your listing stand out, and create something that will make your potential students excited about taking lessons with you. Sometimes, you just gotta hustle. Take a look at your contacts on different social media platforms, and think about the best way to approach those who are currently learning English and could possibly be interested in taking lessons with you. 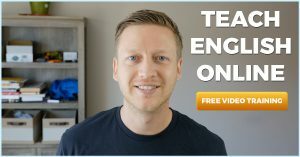 I feel the best way to do this is to send a personal message stating that you are now teaching one-to-one English lessons, offering a free 15 minute chat over Skype. You shouldn’t hard sell anything. In fact, ask your friend/ex-student if they know of anyone who could benefit from your lessons, and ask kindly if they wouldn’t mind sharing your website with others. They most likely will do this, and might start taking lessons with you themselves. As mentioned earlier, many teachers get by on just using the three initial methods above. But, if you want to create something bigger, something more exciting and engaging, and potential something that could evolve into something more than just private lessons, then creating content and being active on social media is what you should be doing. Although not a direct way of bringing in students, a lot of these methods are much more powerful. Your website becomes more important as you start to implement these strategies. Let’s start with the type of content you can implement before talking about social media. Having great content on your website will attract learners, while also showcasing your skills as a teacher. The type of content you create will very much depend on the lessons you are offering. Most teachers focus on creating lessons, explanations, or exercises. You can do this by introducing different media, such as video, pictures, audio, and some interactive elements. Many teachers love to do this, and take great pride in creating useful content for their students. Creating content is the best way to organically attract learners in your niche without spending money. If your content offers great value, people will share it on social media, and it will rank highly in the search engines (more on SEO later). As well as posting on your own site, you can create content on other platforms to attract learners to a landing page. Two of my favorite methods are: creating videos on Youtube and writing guest posts or articles on learning blogs. To give you an example, let’s imagine that you give preparation lessons for the speaking part of the TOEFL exam. You can create a video where you give tips for the speaking section, and then include a link back to a page that gives more information. On this landing page, mention that you give one-to-one preparation lessons in a way that excites your visitor. If you do all of this correctly and take the time to promote your video, you will attract large numbers of students to your site that convert at a high rate. Being active on social networking sites is another great way to bring in students over the long-term. There are two important features of social media that make it such a powerful tactic. The first one is using it as a way to connect with your students and learners in your niche. Setting up a Facebook group or page is really easy to do, but you have to work at it to make it worthwhile; to make social media work for you, you have to be social. You also want others to share your content, whether on your site or elsewhere, with others. Make this as easy as possible do, and don’t be afraid of asking others to do this. If you have a large following on one of your platforms, then you should you use this as social proof. What I mean by this is that when a potential student comes onto your website and sees that you have a large following on a specific platform, they will feel much more confident that you are going to offer them great value. On the other hand, if you only have three “likes” for your page, you should hold off putting this on your site. The thought of being active on platforms such as Twitter, LinkedIn, Facebook, Google Plus, and online forums can be a little daunting. A lot of teachers choose one or two platforms, the ones that are suitable to what they are doing, and put their time and energy into creating something worthy. Researching which sites your target students use, as it may be best for you to target one outside of the big four. A lot of traffic can be gained from social media if you engage your audience, offer value, and interact with others. This is linked to the three previous strategies. Getting targeted traffic from the search engines takes time to come to fruition, but there are things that you can do right now to optimize your site. There are two types categories of SEO: onsite and offsite. Onsite SEO means doing everything possible to make your website search engine friendly, targeting the search terms that are related to what you do. Using the example from before, having a landing page that targets the search term, “TOEFL exam tutor” will bring in learners who are searching for exactly what you offer. Offsite SEO is mainly concerned with getting as many inbound links as possible. In addition, social media “likes” are becoming more important too. There are ways to “game the system” by posting links to your site using software or by buying links. But, as Google is trying their best to punish those who engage in such practices, I don’t recommend doing this. In addition, it’s not the best thing to focus your energy on. Concentrating on creating the best content you possibly can, getting links and “likes” naturally using the methods explained above, and optimizing your site for the search terms for your niche, will put you in a great long-term position to rank highly in the search engines and potentially bring in thousands of visitors every month. There is no better feeling when a student contacts me after being recommended by one of my students. Firstly, it gives me satisfaction to know that my students are happy with what I am doing and want to tell their friends and family about my teaching. In addition, a referral comes to you already sold on what you offer. Your students can sell your lessons and your methods to others far better than you ever will. When I receive a request for a trial lesson from somebody who has been referred, I know it’s just a matter of ironing out the details and ensuring that our schedules line up. Do everything you can to get more referrals. This all starts with offering lessons that truly benefit your current students, and looking after them in such a way that they want to share you with others. And don’t be afraid to ask for your current students to recommend you. I suggest that you do this anyway as teaching online can be quite isolated if you don’t have a support network. But, creating relationships with teachers who do something similar to you can lead to a situation where you can pass on and receive students from each other. At the moment there is no real platform to be able to do this. I’ve just created a group on LinkedIn for online teachers to connect, and I hope this grows into something useful for everyone who joins. If you are have a LinkedIn account, you can find out more about the group here – ELT Online LinkedIn Group. Using the well-known Pareto principle that states 80% of the effects will come from 20% of the causes, I recommend looking at what works for you and focusing your efforts on that. As I mentioned at the beginning of this post, what you will end up doing to bring in students will depend on many factors. Having a long-term vision of what you want to achieve will help you decide whether you want to implement some or all of the strategies listed above. You will also have to think about your niche and how this will affect your strategy. If teaching online and being in charge of your teaching and income is something that interests you, or if you are already an online teacher, then sign up to receive updates, resources, and to connect with me. I have a lot of exciting posts and projects in the works, and would love for you to be part of that. 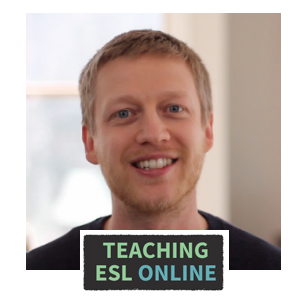 Thank you to everyone who shared my recent post (How to Teach English Online). If you have found this post useful, please share it with your network. I really appreciate you doing this, it means a lot.